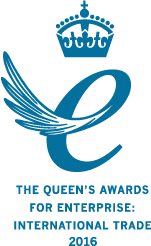 MRT Castings is proud to have won a Queen’s Award for Enterprise in International Trade 2016. This award was in recognition of our outstanding export growth over recent years. With 70 years of experience and expertise, we combine ISO 9001 approved manufacturing facilities with innovative engineering, competitive pricing and outstanding customer service. We offer a complete solution, from design, casting and CNC machining through to finishing, assembly and logistics. WHAT are the MRT Castings services? MRT's sites on the Walworth Business Park in Andover are now re-opened, following the evacuation yesterday afternoon of the area whilst the amazing Hampshire Fire & Rescue Service dealt with a major incident nearby. Normal operations at MRT are resuming now, and our site is unaffected. Purchasing a Zoller Smile420 Tool Pre-Setter has seen an overwhelming improvement in productivity and wasted downtime. MRT Castings is delighted to announce the purchase of a new PFO250 fully automated, die casting cell, from Italian manufacturer Colosio.